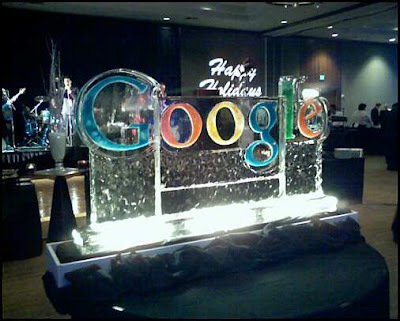 Friday's Google Kirkland Holiday Party featured what one might expect at a Google company party - great food, classic video games, casino tables, and the Google logo as an ice sculpture. I spent a fair amount of time at the blackjack tables. I like blackjack because it is a game that, if played carefully, can result in a player advantage over the house. Typically, in Atlantic City and Las Vegas, the house holds a 0.35% edge (with a 4 deck shoe) over the player, assuming the player plays the optimal blackjack strategy effectively. This edge can be erased and turned into a player advantage if the player keeps a hi/lo count, i.e. whether the chance of a ten being dealt is likely or not. However, doing so requires a lot of concentration, and playing even a few hands incorrectly can be very damaging. Recalling recent experiences in both AC and Vegas, it is extremely hard to keep the necessary concentration with all the flashing lights, buzzers, and general "this is real money we're playing with here" pressure. So, Google's casino was a nice chance to play for fun in a low pressure enviroment. I got an initial stake of $30K (play money), and playing the basic strategy, built that into $100K in a relatively short time. The house rules here weren't posted, but I quickly found that they were VERY favorable to the player, including support for 5 card charlies, 2-1 payout on blackjacks, and something I hadn't seen before, pushes count as a win for the player. Looking at the odds, support for 5 card charlies is a net gainer of 1.46%, and 2-1 on blackjacks is worth an extra 2.27%. Taking into account just those two rule changes, I was looking at a 3.38% advantage, and assuming about a 6% value for payout on pushes, the net player advantage was probably about 10%. With a number like that, you expect to double your money about every 7-8 hands, and I was able to do that several times over the evening. The dealer had a blackjack. Ouch. If you find blackjack strategy or odds interesting, there is a lot to read at The Wizard of Odds. Many of today's IM clients add things during installation so that they can be detected by web pages. 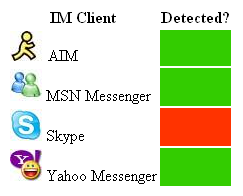 Most of them use a fairly standard technique to do so; they install an ActiveX object, which can be detected by IE, and register a MIME type than can be detected by Firefox/Mozilla. I took a few minutes and put together a page that checks for all of these various object and types, and it's able to detect most of today's major IM clients fairly reliably. (Google Talk's detection mechanism doesn't allow detection from arbitrary web pages, and I couldn't find any info on ICQ). 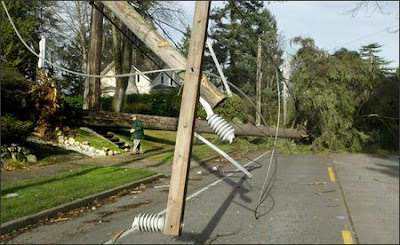 The result is displayed in a table like the one above (just an image, not live detection). Try it out on your system, and please leave a comment if it didn't work or returned incorrect results for you (there are some known issues in Firefox). If you're curious about how it does its thing, please check out the source for the page - it's really quite simple once you know the CLSIDs and MIME types to look for.